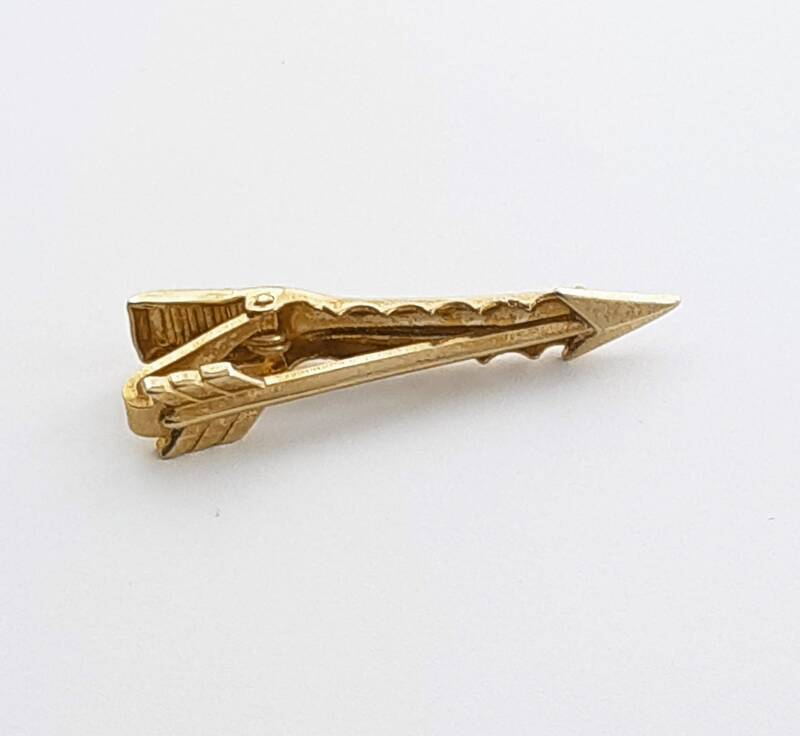 Antiqued Gold Arrow Tie Clip. 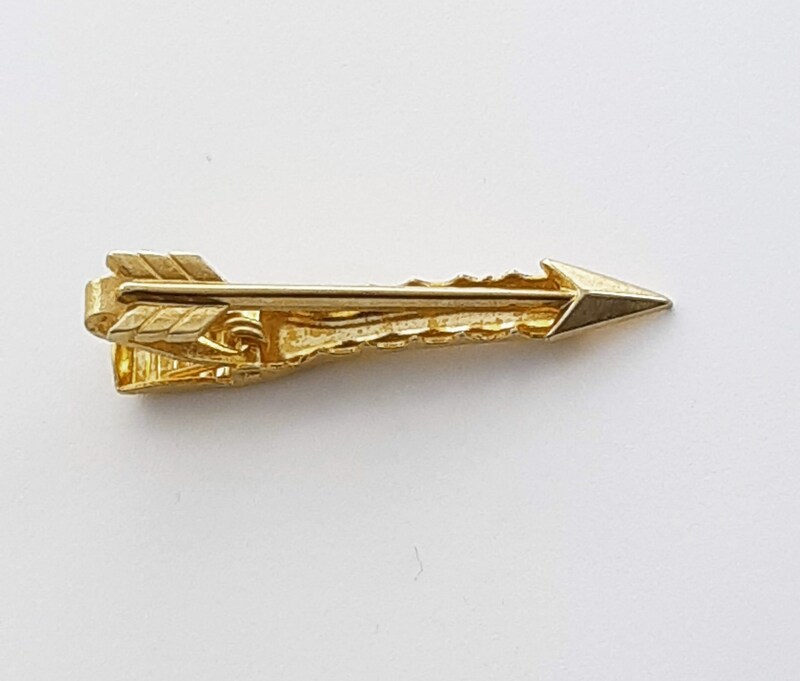 Gold Tone Arrow Tie Clip. Tie Clip shows natural patina from age.